Being in a Rotary eClub will seem to be a lot easier than being in a traditional Rotary Club. However, after two years of being a member of Rotary eClub One, I will say the opposite is true. There are still those moments when I crave the traditional Rotary meetings and (YES) the songs at meetings. Do not get me wrong, I have enjoyed my time being part of an eClub and still continue to do so. I have been part of Rotary projects and have even led some on behalf of the club. The thing with being part of an eClub is deciding why you want to take the step and if it is the right thing for you. It was just the right decision for me – in the last 4 years, I have not stayed in any city for more than a year; my work schedule over same period has made it practically impossible for me to commit to any regular weekly meeting. My Club is very active, have regular ongoing projects in various communities and has been involved in providing relief and rebuilding for almost all the major disasters that had occurred across the world in the last two-years. So you see I am proud to be part of the Rotary eClub One. It keeps me connected to the Rotary world, plus I do not have to worry about my career suffering or my Rotary participation being below par. In fact I enjoy the best of both worlds! I am new at blogging and I am hoping to use this attempt to share my Rotary experience. Hopefully I will be able to solve the dilemma of what to “share” and “not share” before my next post. Three things become crystal clear to me as I became the newest member of the DG Track. One is, people expect a lot from the sitting District Governor, two, people poke a lot of fun at the DGND. The “wanna – be” is the joking term. My response to most of it was, no, not wanna-be, gotta-be. The third item: we need to change to survive. This is the biggie. 1) To change the perception of Rotary to people on the outside. By giving the general population a diametric opposite visual of the stereotypical Rotary leader, it is my hope that they will see the organization as diversified. The reality is, it is. We are probably one of the most diversified organizations in the world, but noone except those in Rotary know that. 2) To change the perception of the leadership within the district. Most of our members have little idea what “the district” actually does. Most DG’s visit clubs with their hand out – reminding them of the importance of giving to the foundation, their “duty”, etc. I want to flip that around and remind the clubs that the district is here to serve them. Have a project idea – we can help. Need information – we can point you in the right direction. The district exists to support the clubs – end of story. We fail at that, we fail at everything. I also want members to see that it is more then possible to maintain a life and still be a big part of the district leadership. It is my hope, that if I do this well, that more leaders will step up and volunteer for district positions. That is the only way change will take place. While PDG’s are certainally valuable mentors, having all district positions filled by them is counter-productive to progress. Most are set in their ways, most rely on experience, most rely on what has worked in the past. And while it is not my intention to devalue those experiences, we need to encourage new blood to come in to offer their skill set and move forward. It’s a balancing act indeed. It was a Saturday morning, kind of dreary out. I pulled into the office parking lot, dressed in my suit and a tad nervous, as I had no idea what to expect. This was the day I was interviewed by the nominating committee for District Governor. I walked into the office, greeted by the current District Governor and sat in a waiting room for a some time, while the committee got together to discuss what questions I’d be asked. I presume the chair gave the committee members some direction on how the whole process would work, no one gave me any information at all…. so I sat. After a while I was called into the room. I recognized many of the faces seated at the conference table – most of which were friendly. The interview progressed without much fan fare. I was asked questions about where I saw the district going, what I believed our priorities were and how I was going to manage my time and my finances should I become DG. Some members had their “pet programs”, whether it was youth, international, foundation related, etc. I kept my responses somewhat short but very sincere, and my responses to the personal questions rather curt. I am a volunteer, how I manage my time and my money is my business. It’s easy to understand some of the committees concerns, I do not fit the “typical DG profile”. Being in my mid 40’s, I work full time, I own my own business and I am a divorced, a single mother of two fabulous teenage girls. Time is somewhat a luxury, but I always seem to manage. Regardless, when I was nominated by my club, I felt I could meet the commitment – but we’d have to play by some different rules. When the committee reached its decision, my sitting DG called to congratulate me. I was a little surprised, but honored none the less. As I hung up with him, I called the District Trainer, and told him “We start planning now, it’s the only way we’ll survive”. And so began the journey on the road to District Governor…. The ROSNF membership approved by-law changes 98 to 1. Only a simple majority of those who vote is required and a 10% response rate for our first membership vote on rosnf.net is ok.
1. Sponsor campaign with training and contest to encourage Rotary and Rotaract clubs to create pages on Facebook to communicate with club members and also with the public at large. 2. Sponsor ROSNF Booth, general meeting, social event, and workshop classes on social networking at the RI Convention in Bangkok. 3. Engage more members in ROSNF working committees and fellowship activities to grow and retain membership. 4. Implement first ROSNF Facebook application for use by Rotarians and Rotaractors to assist in locating and networking with others on Facebook. This application will also connect with RI One Rotary database to access district and club information in real time. I hope members will contact the above committee chairs and volunteer to help. That’s a great way to get to know more members better and enjoy both fellowship and service. This past week the board discovered some changes were needed to the ROSNF bylaws to clarify how the upcoming election of ROSNF Chair for 2012-2013 is to be conducted. Since these changes will require membership approval, the board has been reviewing and revising the bylaws to include a few other recommended changes as well. Once the board approves the bylaw changes, they will be submitted to the membership for approval. Hopefully this will be completed next week, and the board can move on to other pending issues. Exciting news from ROSNF vice Chair, Mary Kathryn DeLodder, is the birth of Mary Kathryn and Eric’s first son Henry. Everyone is doing well, and there are some great pictures of Henry and parents on Facebook. The Rotary Survey Lab group has started first step in building survey using qualitative survey to identify different categories where Rotary communications could be improved with help from RI. Once these categories are defined, the final survey questions will be developed. Within the next few days we will pass 900 members. This reminds me of another project just getting started within ROSNF which is translating the ROSNF website pages to other languages starting with Spanish. Jorge Verdera, a ROSNF member from Spain, has volunteered to help lead this effort. The ROSNF Group on Facebook now has 689 ROSNF members and there is now a daily ongoing exchange between members about topics of interest along with sharing of pictures, links, etc. 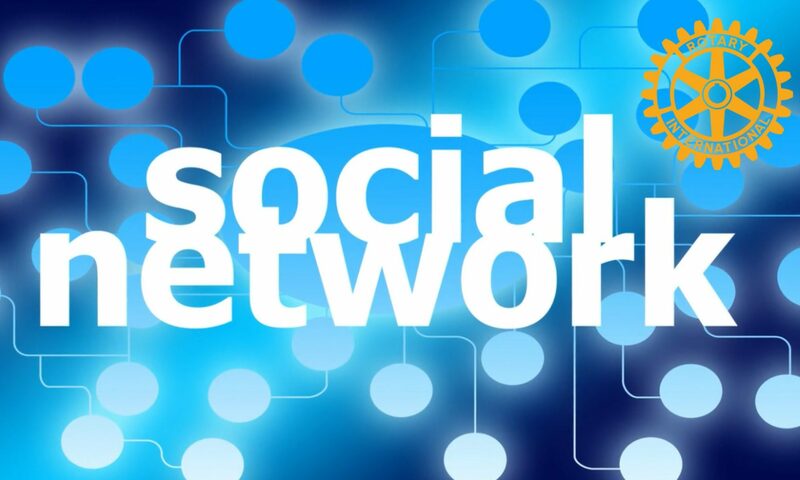 Recent topics include help with promoting club Facebook pages, startup of ROSNF blogs lead by Simone Carot Collins, and ongoing discussion of new Google+ social network. Most of the ROSNF board members are now on Google+ and some have invitations available if you check with them and send them your email address. Google+ has 10 million users in current pilot by invitation only and is expected to open access soon, but opinions are mixed as to how it will compete with Facebook which now has over 750 million daily users. The ROSNF Group on LinkedIn now has 273 members and the most recent ROSNF specific discussion topic is “How can we make ROSNF better?”. For general rotary discussion topics be sure to also visit the RI Official Discussion Group on LinkedIn with 16,921 members. This is the RI discussion thread on social networking which has led to current survey effort underway. The ROSNF Forums on www.rosnf.net has introductions by new members and also has discussion about how we can improve ROSNF. Cliff Dochterman has a chapter in his book, As I was Saying, where he talks about Rotarians and their obsession with ribbons. One of the many highlights is when Cliff explains that a person with seven ribbons can talk to God; and if they have eight ribbons God will answer. Have more than eight ribbons and Frank Devlyn will talk to you because, let’s face it, Frank talks to everyone. Now it seems a similar mystique and fascination exists with Rotary related name badges, especially outside of the club environment. Discounting the occasional sighting of an Assistant Governor at a regular club meeting (and presuming that he/she is in actuality wearing their name badge), probably the first encounter when a rank and file Rotarian runs across an alien name badger is at the District Assembly. At this event there are all sorts of esoteric titles being bandied around, you are only limited to your imagination as to the scope of the entitlements. There are Committee Chairs galore; most likely for everything you can find in the Sears/Roebuck catalogue there is a Committee Chair for it somewhere in the world. And, of course, all of these Committee Chairs have a name badge of some sort. Now we say “of some sort” because some of the name badges not only are not from the current Rotary year but are not necessarily from the current decade. There is the philosophy of “you are what you used to be”. So do not be surprised when you meet the Chair of Outhouse Restoration. The concept of “friends” here on rosnf.net did not have the same meaning that it does on Facebook, and it caused confusion as a result. Invite someone to join a group – which only really applies to the admins of the committees. Neither of those were critical, nor used much at all. A few of our members expressed the view that they were uncomfortable about receiving friend requests here on rosnf.net, and they requested that the functionality be turned off. They were ok with friend requests on Facebook, but did not want to have to deal with friend requests here. A poll of members on our Facebook group showed that those in favour of removal of the friend function here far outweighed those who liked it. And so, the friend function has been disabled. In my first chat, I’d like to summarize the events of a very busy week. First the new board consisting of 11 members has been confirmed and is published here. The new board has been very busy brainstorming on a number of issues including goals, committees, ongoing projects, and more. Jon Deisher has volunteered to be our Parliamentarian, to help the board more efficiently handle issues in orderly manner without letting some things get lost. Thanks to Simone for organizing this new blog which I hope members will find useful. Thanks to Mel and Mary Kathryn for getting ROSNF bank account opened with $440 from donations and ROSNF button sales at the RI Convention in New Orleans. Next week I hope we can finalize initial set of goals and committees so committees can expand and get to work on goals. Two other activities of particular note this week include Rotary Survey Lab which is a group of 20 volunteers working on development of survey about how RI can help clubs and Rotarians improve communications. This survey effort grew out of a discussion on the RI Discussion Group on LinkedIn. Three ROSNF board members, Simone, Philip, and I are participating in this group which includes several RI staff members. Another project starting up is the evaluation of the new social network launched by Google called Google+. A number of ROSNF members are already on the pilot implementation and I’m sure there will be lots of discussion about it in weeks to come. I think Google is a worthy competitor, and both Facebook and Google users will benefit going forward. This is an exciting time for ROSNF members which now number 873 up from 852 a week ago. Members are encouraged to participate in discussions on the ROSNF Member Forums, ROSNF Facebook group , or ROSNF LinkedIn group. I also hope many members will get involved and volunteer to work on the ROSNF committees. This year we will continue to look for ways that we can utilize social networks to help look within to embrace humanity. Feedback and suggestions are always welcome.